Seeing small pops of color in my small space really makes me smile. 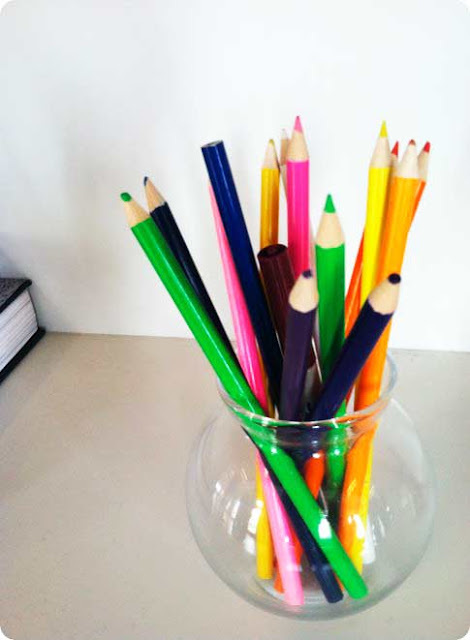 How simple yet impactful is placing a few colored pencils in a simple glass vase? Absolutely love the quiet style that is created here. How do you use bright color in your home? 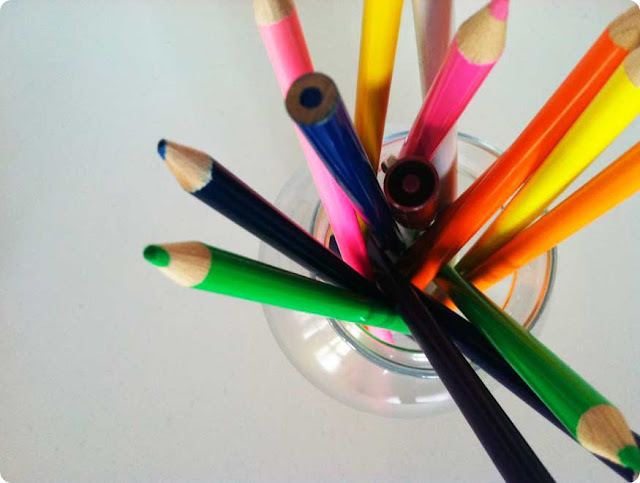 3 Responses to "currently loving...bright colors in small doses"
Cute idea. I like to use bright colors as accents, like a decorative tray, a bowl or a pillow. That's a great idea, I use some bright colors specially in the kitchen like a orange pot, bowl, also on some pillows. I love grey, white, black but some bright colors here and there is not bad at all. 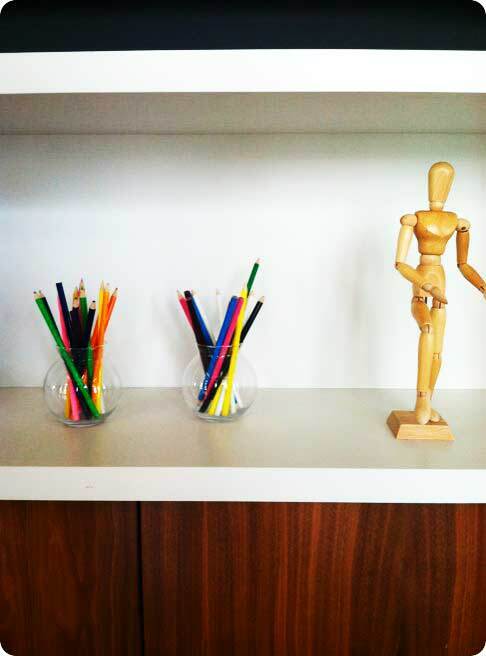 I love how color can be so much more appreciated when surrounded by neutrals. My home walls are painted a simply white, but I like to accent with colorful artwork and personal photography!